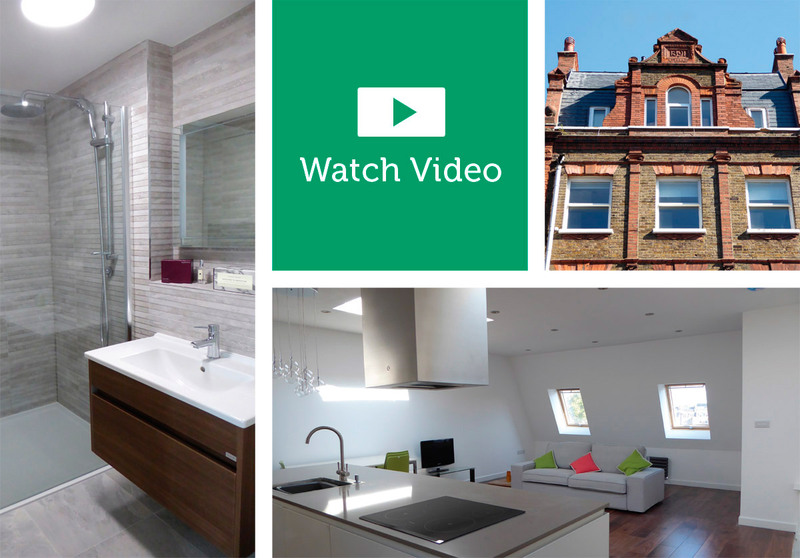 This Moduloft London Loft Conversion totally transformed this central London flat. The flat format was very dark and not very spacious but was in a great location in central London. The owners were keen to open up the flat and increase the space through the addition of a new floor, which would provide more height so they could achieve a city living penthouse flat that truly embraced the London skyline. Our unique approach to offsite build and speed of install was the perfect solution to deliver a 2 storey conversion, a combined Moduloft with Moduroom. The build took 6-8 weeks in the factory and install took only 4 days, followed by 10 days to complete the conversion. The new space provided 2 bedrooms with en-suite, fully fitted kitchen living area, cloakroom. The styling was key to the surrounding area and properties and so the exterior was a slated mansard roof. We are thrilled with this London Loft Conversion project, not only was it a new innovation for us to combine Moduloft and Moduroom but that equalled with a challenge to lift and install on 4 storey terraced row, but to open up a space that delivery a tailor-made solution. We worked closely with the client’s architect and together the module solution and new shape was determined to meet the client’s requirements within the constraints of the existing building. A factory visit for the client, allowed them to share their ideas on fixtures, fittings, bathroom and kitchen along with a walk through their floor plan. This is key stage in our process, we bring the floor plan and virtual tour to life for customer, you literally walk through your new conversion and at this point you can get a true feel for the room size and alter if you like before we do the final construction. 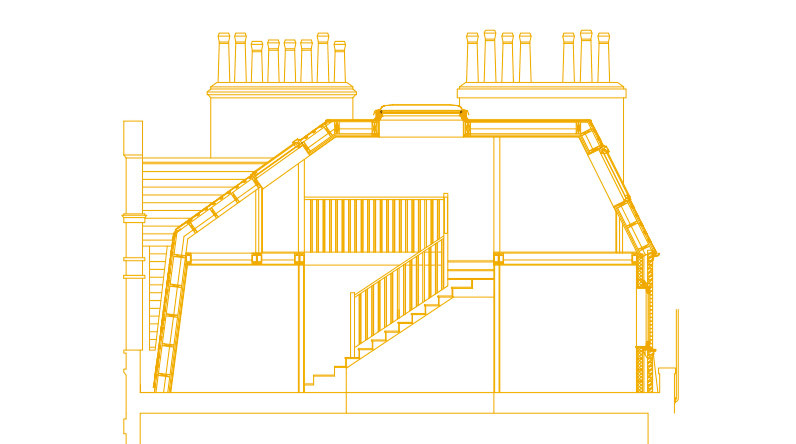 With any London Loft Conversion install and fit there would be a level of planning, our team are experts when it comes to this part of the project. The road closures, the crane, the lift team and the install team all performed with precision and skill – the install took 4 days. The new space was fully fitted at the factory so arrived on site with all electrics, new fitted kitchen, new bathroom, windows, doors and light sockets – so when fitted all the client needed to do was add the furniture. Moduloft was able to deliver the client’s requirements in full to create the perfect living space with views over the London skyline and light design that adds to the charm. 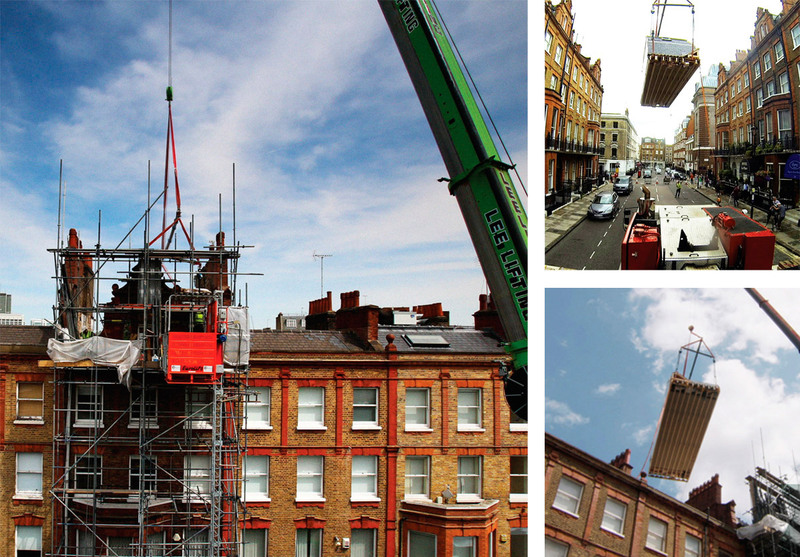 So, if you are considering a London Loft Conversion or a renovation and want to extend upward and outwards – our experience and ability to innovate and develop and deliver a bespoke solution for you and your property then call us today and we can help you develop your ideas further.